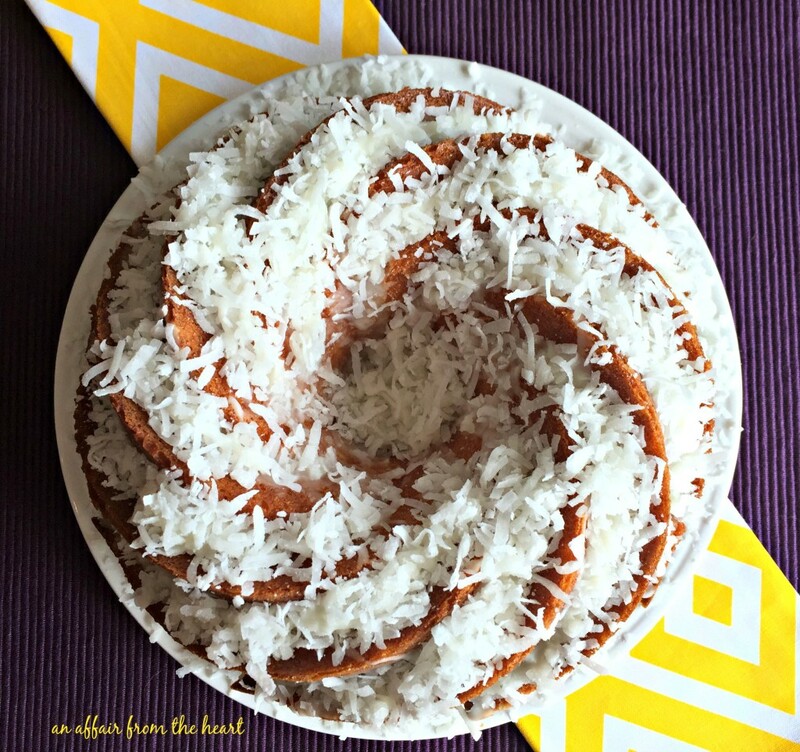 Moist pineapple bundt cake, with a sweet coconut center, drizzled in pineapple glaze and sprinkled with coconut. A couple of weeks ago, we attended my husband’s family reunion. I was asked to “make cookies or something.” Well, I already knew of a few doing that, and I wanted to experiment. I literally dreamt this cake up early one morning. I love bundt cakes. Their presentation is just so pretty! I have told you before, that my taste for coconut has gradually grown into where I can actually say that I don’t mind it anymore. 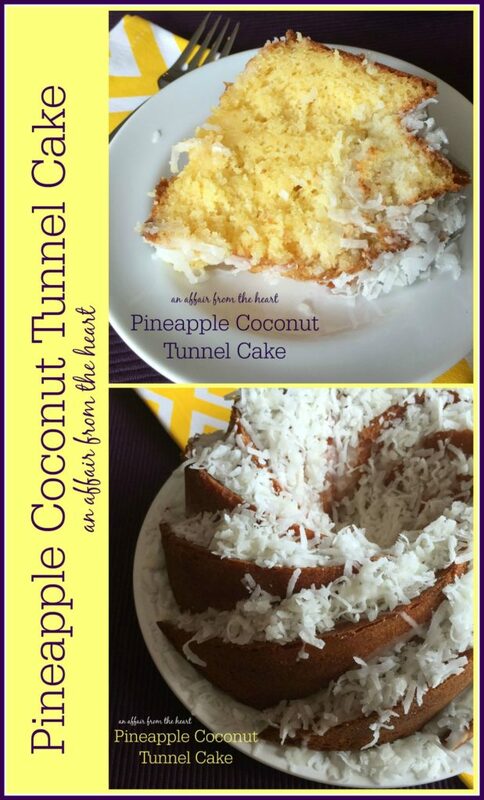 I have made my husband’s favorite Coconut Macaroon Tunnel Cake so many times, I can practically make it in my sleep. 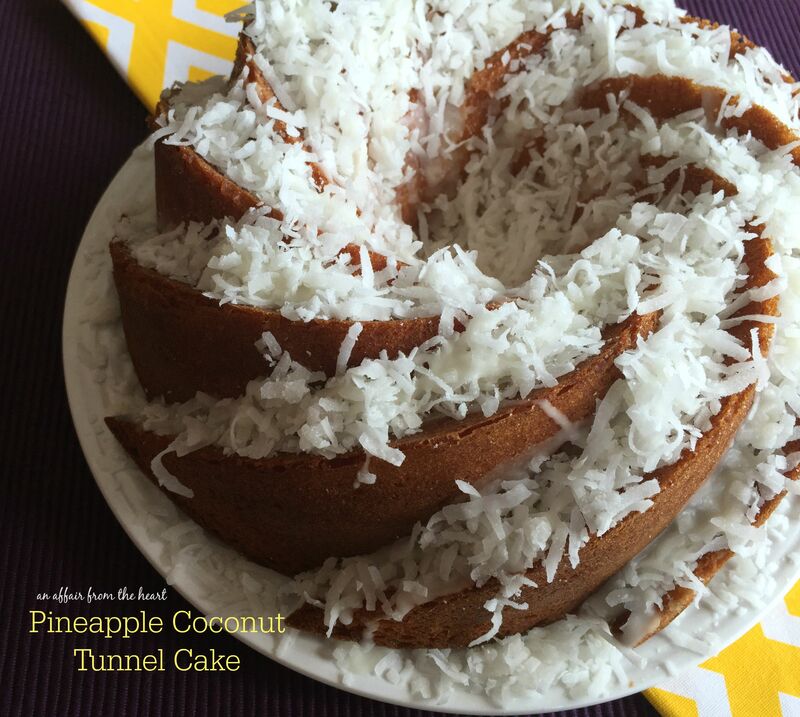 He was always happy to eat the coconut tunnel in the middle and I ate the chocolate cake around the outside. 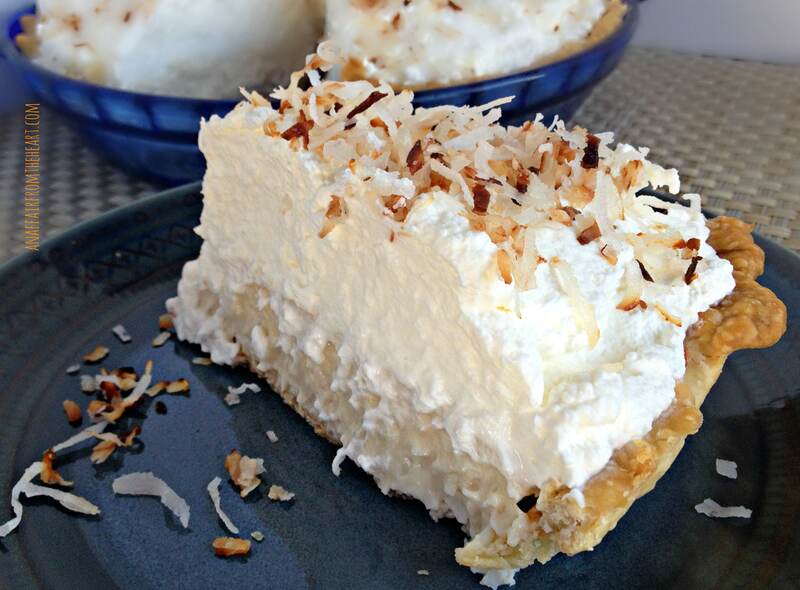 I think when I actually decided that coconut is actually pretty darn good, was when I mastered the Coconut Cream Pie. I am not going to lie, this thing is just plain delicious. I love pina coladas, the combination of coconut and pineapple — I decided that this idea would make a wonderful cake, and darn it if I wasn’t right on! This cake starts with a yellow box mix, but the water is replaced with pineapple juice. The scent of the cake is marvelous when it’s in the mixer. Oh my! Then I added a tunnel of coconut macaroon to the center before baking, it’s topped with a pineapple glaze and a generous dusting of coconut. The results? Two thumps WAY up! 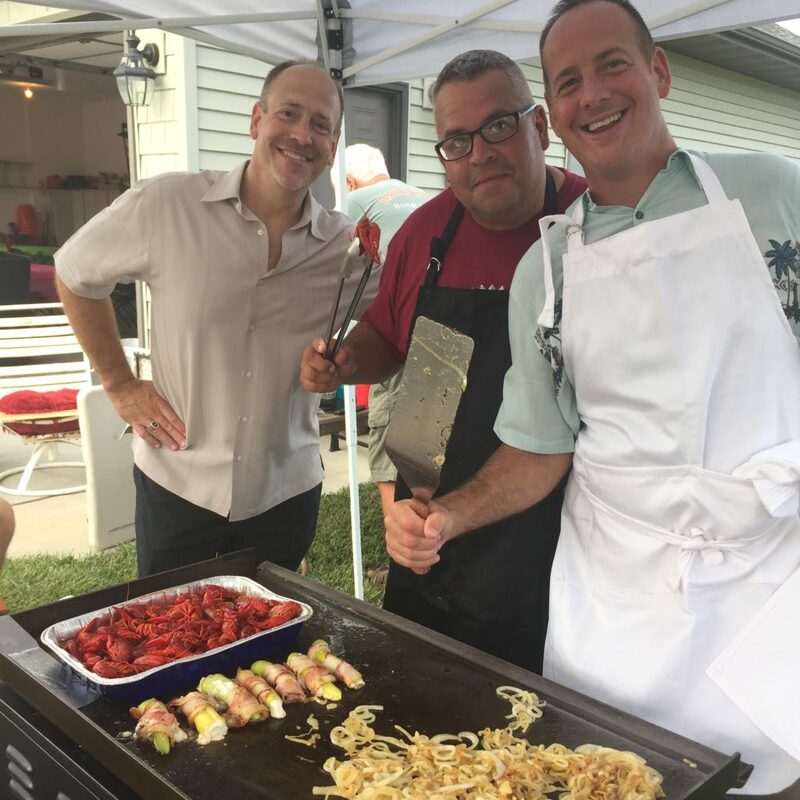 My husband’s brother, Bruce, his cousin, Paul and my hubby, there on the right! 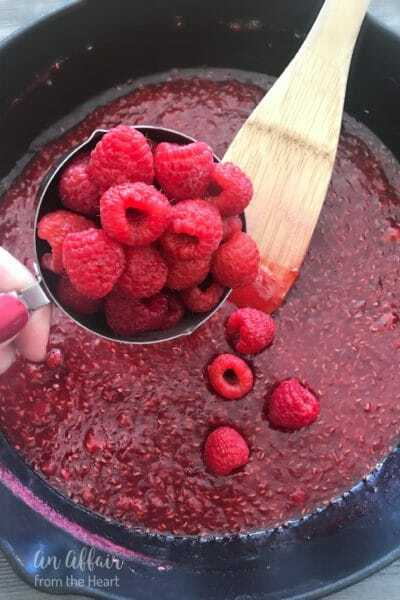 Preheat oven to 350 degrees, spray bundt pan with non-stick cooking spray. 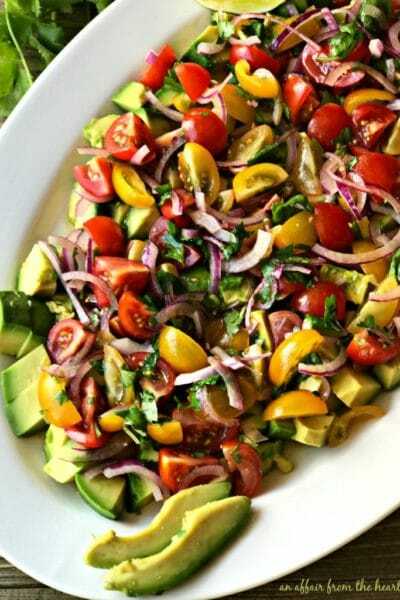 Prepare filling, by mixing all of the ingredients witha fork. Starting first with the eggs, adding the sugar, and vanilla, then the coconut and flour. Set aside. Prepare bundt cake as directed on the cake mix box, adding one additional egg and replacing the water with pineapple juice. Pour about 1/2 of the cake mix into your bundt pan. Now spoon filling in a “tunnel” on top of the batter. Be careful not to let the filling touch the pan. You can find step by step instructions for the tunnel here. Pour and evenly cover the tunnel with the rest of the batter. Bake the cake for 35-45 minutes or until toothpick comes out clean. Cool in pan for 20-30 minutes and turn onto a plate to cool the rest of the way. 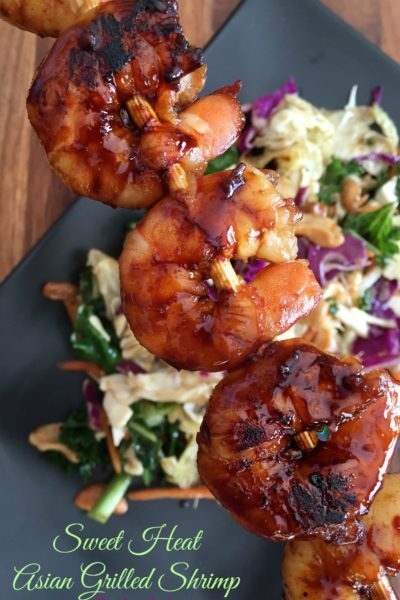 Drizzle with glaze and sprinkle with coconut. This cake looks amazing and sounds so delicious! 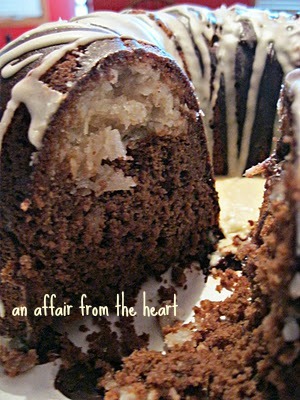 I LOVE coconut and will be pinning this to my coconut Pinterest board and sharing over on FB and Twitter. I can’t wait to try this one! 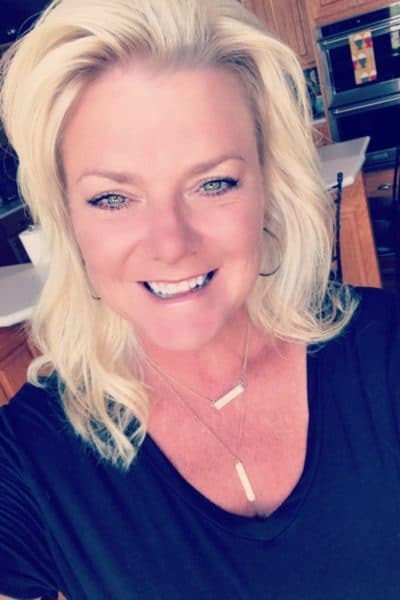 I would be honored if you would stop by and share it over at my link party, Celebrate it Sunday! 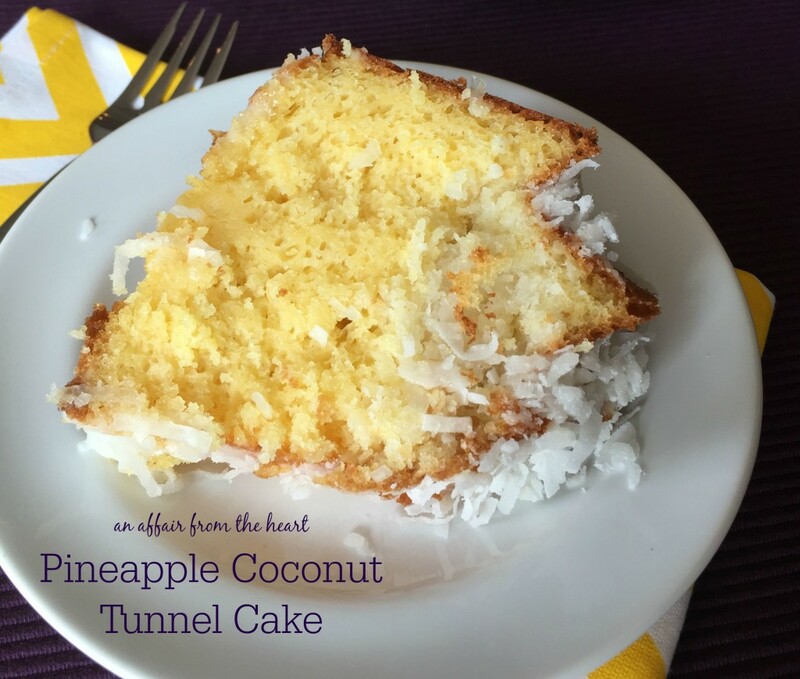 Thanks so much for sharing, I am heading over to check out your other coconut recipes! 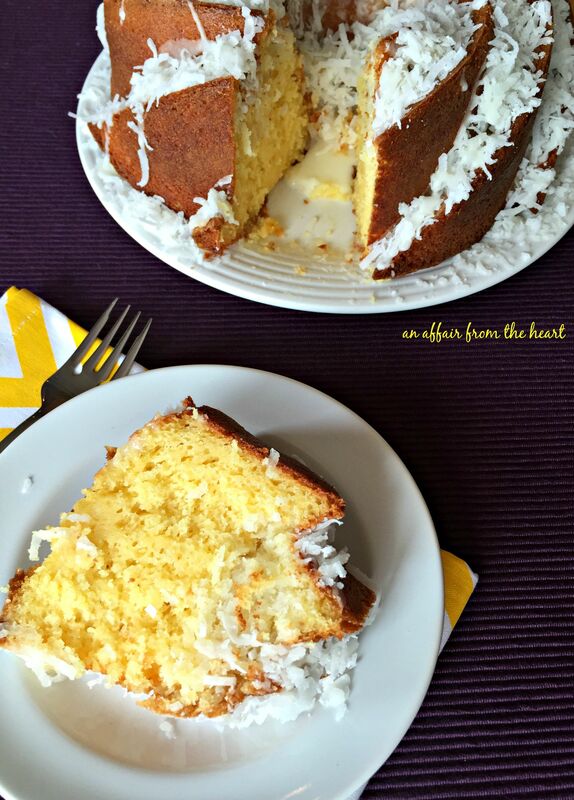 OOOh, I love pineapple and coconut – this is a dream cake! 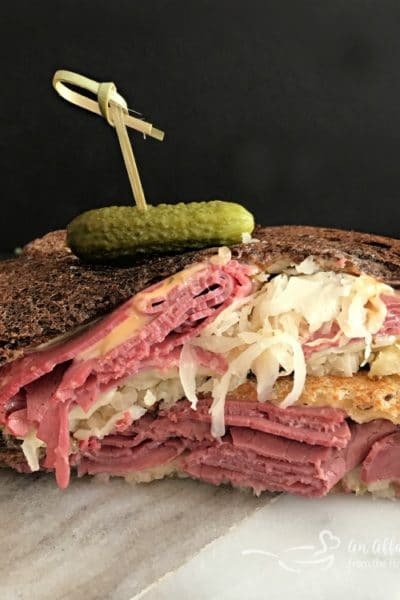 Oh my word this looks great! Pinning to make for my mom; she’ll love it! Thank you so much for sharing at Celebrate it Sunday! The party opens again on Saturday evening at 8 PM EST! I loved your cake and am featuring it this week! Prepare filling? How about some directions? Do the egg whites need to be whipped? Everything mixed all at once? Sugar and egg whites beaten first? You have to give some sort of directions. Notice where it says “for step by step instructions, click here?” Click there. Looks like a delicious treat! 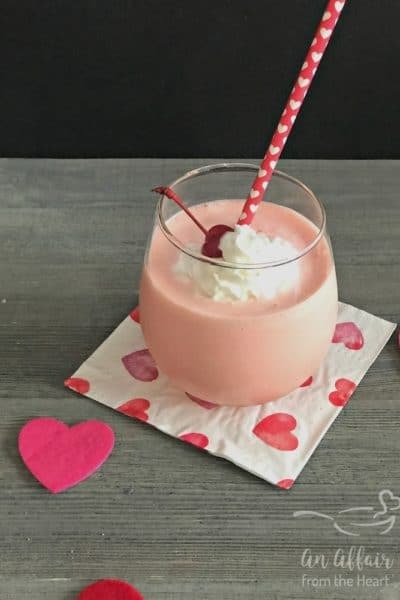 I love pina coladas too, so I am sure I will love this!